Update 29/1/12: I originally posted this in 2009, but I’ve since updated the information and I’ve made a video! So I hope you enjoy this post! Why would you want to open a young thai coconut? Because then you can get to the coconut water and coconut meat! Coconut water from a fresh coconut is so much nicer than any bottled coconut water. So I enourage you to try opening a young thai coconut for yourself, but of course be careful! a fruit salad or curries. 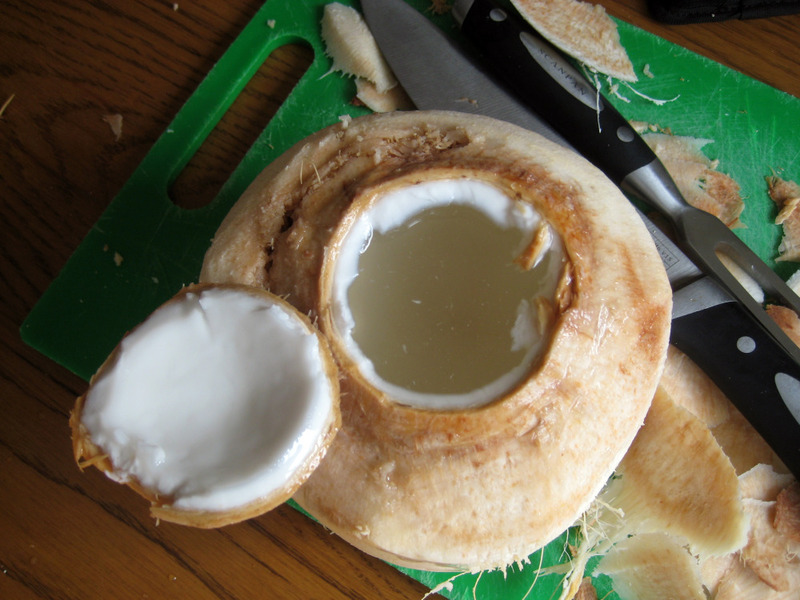 You can also blend together water and coconut meat to make your own coconut milk! If you fancy yourself a fermentation fetishist try having a go at making Coconut Water Kefir (pronounced Ke-feer) using water kefir grains. According to Simonne (2004) young coconut water contains a high amount of calcium. Mature coconuts also have a high Iron content. It also has high amounts of magnesium, potassium and phosphorous (USDA, 2004). Coconuts have a high amount of saturated fat. The type of saturated fat in Coconuts are actually medium chain fatty acids (MCFA). Get your equipment ready. Place the damp tea towel under the wooden board (it helps board from moving). the hard brown part of the coconut under the husk. Now balance the coconut upright . With the corner of the knife carefully hit the coconut towards the top of the coconut and make four hits around the coconut. off as if its a lid. (Be very careful!). Drain the coconut water into a glass or jar. Scoop out the coconut meat and use however you like. Discuss Cooking, 2007, Uses for coconut meat, http://www.discusscooking.com/forums/f21/uses-for-coconut-meat-38748.html, viewed 3/8/2009. Simonne, A, Bobroff, LB, Cooper, A, Poirier, S, Murphy, M, Oswald, MJ, Procise, C, 2004, ‘FCS 8525 South Florida Tropicals: Coconut’, University of Florida, http://edis.ifas.ufl.edu/HE618, viewed 3/8/2009. USDA National Nutrient Database for Standard Reference, Release 16-1, 2004, Nutritional Facts-Coconut, http://www.coconutresearchcenter.org/nutrition.pdf viewed 3/8/2009. Have fun (but be careful!) and enjoy your fresh coconut water and coconut meat! I have invented/made a young coconut opener for restaurant or home use. It is all stainless steel (hygienic) and has a hand operated safe rotary action. It clamps on to a benchtop and folds away for easy storage. I watched with horror the videos of people opening the young coconuts now available in the shops and produced my opener which cuts a neat 65mm hole in the top of the coconut with ease. Now I wish to make people aware of my opener. would you be interested? Hi, I am interested in finding more out about the opener you have made. Could you send pictures to me please? 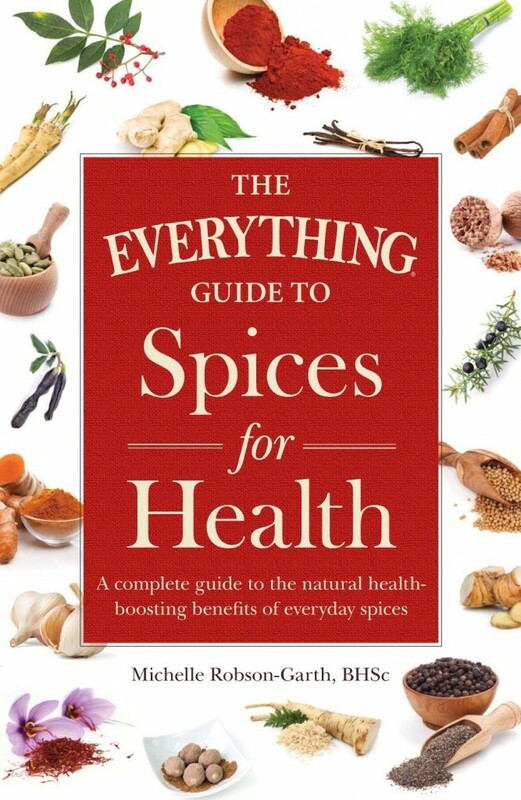 RT @bonnesanteblog: @LoverHealthFood hurrah!!! COCO LOCO!